Country superstar Tim McGraw was born May 1, 1967 in Louisiana. Tim is the son of baseball player Tug McGraw and originally pursued sports with scholarships to college before heading toward country music. Tim signed with Curb Records in 1990. Tim released his first single "Welcome To The Club." Tim released his debut LP - Tim McGraw and hit the country charts with "Memory Lane" and "Two Steppin' Mind." Tim released Not A Moment Too Soon. Tim hit the Top 40 with "Indian Outlaw." Not A Moment Too Soon topped the Billboard Country LP charts for 29 weeks. The single "Indian Outlaw" was certified gold. Tim hit the pop charts with "Don't Take The Girl." Tim topped the Billboard Country Singles chart for 2 weeks with "Don't Take The Girl." Not A Moment Too Soon topped the Billboard LP charts for 2 weeks. Not A Moment Too Soon was certified 2x platinum. The single "Don't Take The Girl" was certified gold. Not A Moment Too Soon was certified 3x platinum. Tim topped the Billboard Year-End Charts as the Top New Country Artist and Top Country Album (Not A Moment Too Soon). Tim topped the Billboard Country Singles chart for 2 weeks with "Not A Moment Too Soon." Tim won an American Music Awards for Favorite Country New Artist and was nominated for Favorite Country Single ("Indian Outlaw"). Not A Moment Too Soon was certified 4x platinum. Tim released All I Want. Tim topped the Billboard Country Singles chart for 5 weeks and the Country Singles Sales chart for 19 weeks with "I Like It, I Love It." All I Want topped the Billboard Country LP charts for 3 weeks. All I Want was certified 2x platinum. Tim topped the Billboard Country Singles & Tracks chart for 2 weeks with "She Never Lets It Go To Her Heart." Tim married fellow country superstar, Faith Hill. Not A Moment Too Soon was certified 5x platinum. Tim was nominated for a Grammy Award for Best Country Collaboration with Vocals ("Hope: Country Music's Quest For A Cure" with Faith Hill, Vince Gill, , Trisha Yearwood, Lorrie Morgan, Marty Stuart, Little Texas, Tracy Lawrence, Terri Clark, Neal McCoy, Travis Tritt & John Berry). Tim topped the Billboard Country Singles Sales chart for 12 weeks with Faith Hill on "It's Your Love." Tim topped the Billboard Country Singles chart for 6 weeks with Faith Hill on "It's Your Love." Everywhere topped the Billboard Country Albums chart for 11 weeks. "It's Your Love" hit the Top 10 on Billboard's Hot 100. The single "It's Your Love" was certified gold. Tim won a Country Music Association Award for Vocal Event of the Year ("It's Your Love" with Faith Hill). Tim topped the Billboard Country Singles chart for 2 weeks with "Everywhere." Everywhere was certified 2x platinum. McGraw topped the Billboard Year-End Charts with the Top Country Singles & Tracks ("It's Your Love"). Tim topped the Billboard Country Singles chart for 6 weeks with "Just To See You Smile." Tim was nominated for an American Music Award for Favorite Country Album (Everywhere). Tim took home some Academy of Country Music Awards with his wife Faith Hill including Single of the Year, Song of the Year, Video of the Year, and Vocal Event of the Year ("It's Your Love"). Everywhere was certified 3x platinum. Tim topped the Billboard Country Singles chart for 4 weeks with "Where The Green Grass Grows." Tim topped the Billboard Year-End Charts with the Top Country Single & Track ("Just To See You Smile"). Tim was nominated for an American Music Award for Favorite Country Male Artist. Tim was nominated for a Grammy Award for Best Country Collaboration ("Just To Hear You Say That You Love Me" with Faith Hill). Tim topped the Billboard Country Singles chart for 5 weeks with "Please Remember Me." Tim topped the Billboard Country Singles Sales chart for 13 weeks with "Please Remember Me / For A Little While." Tim released Place In The Sun. Place In The Sun topped the Billboard 200 Albums chart for a week and the Country Albums chart for 2 weeks. Place In The Sun was certified platinum. Tim topped the Billboard Country Singles chart for 5 weeks with "Something Like That." Tim won 2 Country Music Association Awards for Male Vocalist of the Year and Album of the Year (Place In The Sun). Place In The Sun was certified 2x platinum. Tim topped the Billboard Year-End Chart-Toppers as the Top Country Artist - Male (singles & albums), Top Hot Country Singles & Tracks Artist, and Top Hot Country Singles & Tracks Artist - Male. Tim topped the Billboard Country Singles chart for 2 weeks with "My Best Friend." Tim was nominated for a Grammy Award for Best Country Vocal Performance - Male ("Please Remember Me"). Everywhere was certified 4x platinum. Tim won an Academy of Country Music Award for Male Vocalist of the Year. Tim and Kenny Chesney were arrested after the 'George Strait Country Music Festival' in New York. Tim was arrested on assault charges after Chesney asked to ride a sheriff's horse, then allegedly refused to dismount, resulting in a scuffle with Tim joining in. Place In The Sun was certified 3x platinum. Tim started to tour with wife Faith Hill with their 'Soul 2 Soul 2000' tour. Tim won a Country Music Association Award for Male Vocalist of the Year. Tim topped the Billboard Country Singles chart for 5 weeks with "My Next Thirty Years." Greatest Hits topped the Billboard Country Albums chart for 9 weeks. Tim topped the Billboard Year-End Charts as Top Country Artist - Male, Top Hot Country Singles & Tracks Artist, and Top Hot Country Singles & Tracks Artist - Male. Greatest Hits was certified platinum. Tim had an emergency appendectomy. Tim won an American Music Award for Favorite Country Male Artist. Greatest Hits was certified 2x platinum. Tim won a Grammy Award for Best Country Collaboration with Vocals ("Let's Make Love" with Faith Hill) and was nominated for Best Country Vocal Performance - Male ("My Best Friend"). Tim released Set This Circus Down. Tim won a Blockbuster Entertainment Award for Favorite Male Country Artist. Set This Circus Down topped the Billboard Country Albums chart for 6 weeks. Tim was acquitted of assault charges (along with Kenny Chesney) stemming from an incident in June, 2000. Set This Circus Down was certified platinum. Tim topped the Billboard Country Singles chart for a week with "Grown Men Don't Cry." Tim topped the Billboard Country Singles chart for 2 weeks with "Angry All The Time." Tim was named Entertainer of the Year at the Country Music Association Awards. Tim topped the Billboard Year-End Charts as the Top Country Artist, the Top Country Artist - Male, the Top Country Album Artist, the Top Country Album Artist - Male, the Top Hot Country Singles & Tracks Artist, and the Top Hot Country Singles & Tracks Artist - Male. Tim also had the Top Country Album (Greatest Hits). Tim won 2 American Music Awards for Favorite Country Male Artist and Favorite Country Album (Set This Circus Down), and was nominated for Internet Artist of the Year. Tim was nominated for 3 Grammy Awards for Best Country Vocal Performance - Male ("Grown Men Don't Cry"), Best Country Collaboration with Vocals "(Bring On The Rain" with Jo Dee Messina), and Best Country Album (Set This Circus Down). Tim topped the Billboard Country Singles & Tracks chart for a week helping out Jo Dee Messina with "Bring On The Rain." Tim topped the Billboard Country Singles & Tracks chart for a week with "The Cowboy In Me." Greatest Hits was certified 3x platinum. Tim topped the Billboard Country Singles & Tracks chart for a week with "Unbroken." Tim released Tim McGraw & The Dancehall Doctors. Tim had his own TV special on NBC - Sing Me Home. Tim won an American Music Award for Favorite Country Male Artist and sang "Tiny Dancer" at the ceremony with Elton John. Tim McGraw & The Dancehall Doctors was certified 2x platinum. Tim embarked on his 'Tim McGraw & The Dancehall Doctors' One Band Show' tour. The single "I Like It, I Love It" from 1995 was certified gold. Tim was nominated for 2 Country Music Associations Awards for Entertainer of the Year, Male Vocalist of the Year, and Album of the Year (Tim McGraw & The Dancehall Doctors). Tim topped the Billboard Country Singles & Tracks chart for 2 weeks with "Real Good Man." Tim could be heard on the holiday compilation A Very Special Acoustic Christmas with "Dear Santa." Tim won a Radio Music Awards for Artist of the Year - Country Radio. Tim won an American Music Award for Favorite Country Male Artist, and was also nominated for Favorite Country Album and the Fan's Choice Award. Tim's father, former baseball player Tug McGraw, died of brain cancer. Tim won a People's Choice Award for Favorite Male Performer. Greatest Hits was certified 4x platinum. Tim was nominated for a Grammy Award for Best Country Vocal Performance - Male ("She's My Kind Of Rain"). Tim topped the Billboard Country Singles & Tracks chart for 2 weeks with "Watch The Wind Blow By." Tim topped the Billboard Country Singles & Tracks chart for 7 weeks with "Live Like You Were Dying." Tim released his next LP Live Like You Were Dying. Live Like You Were Dying topped the Billboard 200 LP chart for 2 weeks, the Top Internet Albums chart, and the Top Country Albums chart for 3 weeks, selling over 766,000 copies its first week of release in the US. The LP also topped the charts in Canada. Live Like You Were Dying was certified 2x platinum. Tim could be seen in his role of Charlie Billingsley for the film Friday Night Lights and received critical praise for his performance. Tim hit the Top 40 and Top 10 helping out Nelly with "Over And Over." Tim topped the Billboard Top 40 Tracks chart and Rhythmic Airplay chart helping out Nelly with "Over And Over." Tim won 2 Country Music Association Awards for Best Song (with co-songwriter Craig Wiseman) and Best Single ("Live Like You Were Dying"). Tim hit #1 for 5 weeks helping out Nelly with "Over And Over." Tim had his second TV special on NBC on November 24th. Tim topped the Billboard Country Singles & Tracks chart for a week with "Back When." Live Like You Were Dying was the 6th biggest-selling LP in the US for year with sales during the year topping 2.7 million. Tim topped the Billboard Year-End Charts with the Top Country Singles & Tracks ("Live Like You Were Dying"). Tim won a People's Choice Award for Favorite Country Male Singer. Tim won a Grammy Award for Best Country Vocal Performance - Male ("Live Like You Were Dying") and was nominated for Best Country Album (Live Like You Were Dying). Tim performed at the ceremony. Tim topped topped the UK singles chart helping out Nelly with "Over And Over." Tim hit the Top 40 with "Live Like You Were Dying." Tim won 2 Academy of Country Music Awards for Single and Song of the Year ("Live Like You Were Dying"). The single "Over And Over" was certified gold. On July 2nd, Tim performed in Rome, Italy, as part of the worldwide Live 8 concerts. The mission of the concerts was to raise awareness of the on-going poverty in Africa and to pressure the G8 leaders to take action by doubling aid, canceling debt, and delivering trade justice for Africa. Tim performed on a NBC benefit show for the victims of Hurricane Katrina. Tim won 2 American Music Awards for Favorite Country Male Artist and Favorite Country Album (Live Like You Were Dying), and performed at the ceremony. The single "Live Like You Were Dying" was certified platinum. Tim won a Grammy Award for Best Country Collaboration with Vocals ("Like We Never Loved At All" with Faith Hill). Tim released Greatest Hits, Vol. 2. Greatest Hits was certified 5x platinum and All I Want was certified 3x platinum. Greatest Hits, Vol. 2 topped the Billboard Country Albums chart and Top Internet Albums chart. Greatest Hits, Vol. 2 was certified platinum. Tim could be heard on Tony Bennett's LP Duets: American Classic on the track "Cold, Cold Heart." Tim received a star on the Hollywood Walk of Fame. 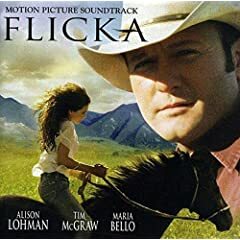 Tim could be seen starring in the film Flika and heard on the soundtrack with the country hit "My Little Girl.". Tim won an American Music Award for Favorite Country Album (Greatest Hits, Vol. 2). Tim released Let It Go. Tim topped the Billboard Hot Country Songs chart with "Last Dollar (Fly Away)." Tim topped the Billboard 200 LP chart, Top Internet Albums chart, and Country Albums chart with Let It Go. The LP sold over 325,000 copies in the US its first week of release. Tim topped the Canadian LP charts with Let It Go. Tim won an American Music Awards for Favorite Country Male Artist and was nominated for Favorite Country Album (Let It Go). Greatest Hits, Vol. 2 was certified 2x platinum. Tim topped the Billboard Year-End Charts as the Top Country Artist - Male (singles & albums) and Top Country Album Artist - Male. Tim was nominated for 4 Grammy Awards for Best Country Vocal Performance - Male ("If You're Reading This"), Best Country Collaboration With Vocals ("I Need You" with Faith Hill), Best Country Album (Let It Go), and Best Country Song (awarded to the songwriter) ("If You're Reading This" with Brad Warren and Brett Warren). Tim topped the Billboard Country Albums chart with Greatest Hits: Limited Edition - a compilation of Tim's first 2 hits collections sold only at Wal-Mart (Billboard peak: # 10). Greatest Hits was certified 6x platinum. Tim released another hits collection - Greatest Hits Vol. 3. Tim topped the Billboard Top Country Albums chart with Greatest Hits Vol. 3. Not A Moment Too Soon was certified 6x platinum and Set This Circus Down was certified 3x platinum. Tim hosted Saturday Night Live. Tim topped the Billboard Top Country Albums chart with Southern Voice. Southern Voice was certified gold. Tim released Number One Hits. Tim topped the Billboard Country Songs chart with "Felt Good On My Lips." Number One Hits was certified gold. Greatest Hits Vol. 3 was certified gold. Number One Hits was certified platinum. Tim topped the Billboard Country Albums chart with Emotional Traffic. March 5: Tim could be heard on the Lionel Richie LP Tuskegee on the re-recorded duet of "Sail On." Tim released Two Lanes Of Freedom. Tim topped the Billboard Country Albums chart and Digital Albums chart with Two Lanes Of Freedom. Two Lanes Of Freedom was certified gold. January 26: Tim was nominated for 2 Grammy Awards including Best Country Duo/Group Performance ("Highway Don't Care" with Taylor Swift and Keith Urban) and Best Country Album (Two Lanes Of Freedom). September 16: Tim released Sundown Heaven Town. October 4: Tim topped the Billboard Country Albums chart with Sundown Heaven Town. December 13: Tim topped the Billboard Country Songs chart with "Shotgun Rider." December 27: Tim topped the Billboard Country Airplay chart with "Shotgun Rider." February 8: Tim was nominated for a Grammy Award for Best Country Duo/Group Performance ("Meanwhile Back At Mama's" with Faith Hill). June 16: 35 Biggest Hits was released. November 6: Tim released Damn Country Music. April 23: Tim topped the Billboard Country Songs chart with "Humble And Kind." June 25: Tim topped the Billboard Country Airplay chart with "Humble And Kind." November 20: Tim won an American Music Award for Favorite Country Song ("Humble And Kind"). December 10: Tim topped the Billboard Country Airplay chart helping out Florida Georgia Line with "May We All." November 17:Tim released The Rest Of Our Life with Faith Hill. December 9:Tim topped the Billboard Country Albums chart with The Rest Of Our Life with Faith Hill. March 11: Tim collapsed on stage in Ireland while performing with his wife Faith Hill due to dehydration. Tracks: "Welcome To The Club" - "Two Steppin' Mind" - "The Only Thing That I Have Left" - "You Can Take It With You (When You Go)" - "Ain't No Angels" - "Memory Lane" - "Tears In The Rain" - "What She Left Behind" - "What Room Was The Holiday In" - "I Keep It Under My Hat"
Tracks: "It Doesn't Get Any Countrier Than This" - "Give It To Me Strait" - "Wouldn't Want It Any Other Way" - "Down On The Farm" - "Not A Moment Too Soon" - "Indian Outlaw" - "Refried Dreams" - "Don't Take The Girl" - "40 Days And 40 Nights" - "Ain't That Just Like A Dream"
Tracks: "All I Want Is A Life" - "She Never Let It Go To Her Heart" - "Can't Be Really Gone" - "Maybe We Should Just Sleep On It" - "I Didn't Ask And She Didn't Say" - "Renegade" - "I Like It, I Love It" - "The Great Divide" - "You Got The Wrong Man" - "Don't Mention Memphis" - "When She Wakes Up (And Finds Me Gone)" - "That's Just Me"
Tracks: "Where The Green Grass Grows" - "For A Little While" - "It's Your Love" - "Ain't That The Way It Always Ends" - "I Do But I Don't" - "One Of These Days" - "Hard On The Ticker" - "Everywhere" - "Just To See You Smile" - "You Just Get Better All The Time" - "You Turn Me On"
Tracks: "The Trouble With Never" - "Seventeen" - "She'll Have You Back" - "Somebody Must Be Prayin' For Me" - "My Best Friend" - "Senorita Margarita" - "Some Things Never Change" - "You Don't Love Me Anymore" - "Something Like That" - "Please Remember Me" - "Carry On" - "My Next Thirty Years" - "Eyes Of A Woman" - "A Place In The Sun"
Tracks: "Indian Outlaw" - "Don't Take The Girl" - "She Never Lets It Go To Her Heart" - "I Like It, I Love It" - "Just To See You Smile" - "It's Your Love" - "Where The Green Grass Grows" - "For A Little While" - "Please Remember Me" - "Something Like That" - "My Best Friend" - "Maybe We Should Just Sleep On It" - "Down On The Farm" - "My Next Thirty Years" - "Let's Make Love"
Tracks: "Cowboy In Me" - "Telluride" - "You Get Used To Somebody" - "Unbroken" - "Things Change" - "Angel Boy" - "Forget About" - "Take Me Away From Here" - "Smilin'" - "Set This Circus Down" - "Angry All The Time" - "Let Me Love You" - "Grown Men Don't Cry" - "Why We Said Goodbye"
Tracks: "Comfort Me" - "Tickin' Away" - "Home" - "Red Ragtop" - "That's Why God Made Mexico" - "Watch The Wind Blow By" - "Illegal" - "Sleep Tonight" - "I Know How To Love You Well" - "Sing Me Home" - "She's My Kind Of Rain" - "Who Are They" - "Real Good Man" - "All We Ever Find" - "Tiny Dancer"
Tracks: "How Bad Do You Want It" - "My Old Friend" - "Can't Tell Me Nothin'" - "Old Town New" - "Live Like You Were Dying" - "Drugs Or Jesus" - "Back When" - "Something's Broken" - "Open Season On My Heart" - "Everybody Hates Me" - "Walk Like A Man" - "Black Sheet Of Paper" - "Just Be Your Tear" - "Do You Want Fries With That" - "Kill Myself" - "We Carry On"
Tracks: "Live Like You Were Dying" - "My Old Friend" - "Like We Never Loved At All" (with Faith Hill) - "The Cowboy In Me" - "When The Stars Go Blue" - "Real Good Man" - "She's My Kind Of Rain" - "Grown Men Don't Cry" - "Not A Moment Too Soon" - "Watch The Wind Blow By" - "Over And Over" (with Nelly) - "Everywhere" - "Beautiful People" - "Red Ragtop" - "My Little Girl" - "I've Got Friends That Do"
Tracks: "Last Dollar (Fly Away)" - "I'm Workin'" - "Let It Go" - "Whiskey And You" - "Suspicions" - "Kristofferson" - "Put Your Lovin' On Me" - "Nothin' To Die For" - "Between The River And Me" - "Train #10" - "I Need You" - "Comin' Home" - "Shotgun Rider"
Tracks: "Back When"- "Last Dollar (Fly Away)" - "If You're Reading This" - "Do You Want Fries With That" - "Unbroken" - "Can't Be Really Gone" - "Angry All The Time" - "Suspicions" - "Find out Who Your Friends Are" - "Let It Go" - "Real Good Man" (live) - "Nine Lives"
Tracks: "Still" - "Ghost Town Train" - "Good Girls" - "I Didn't Know It At The Time" - "It's A Business Doing Pleasure With You" - "If I Died Today" - "Mr. Whoever You Are" - "Southern Voice" - "You Had To be There" - "I'm Only Jesus" - "Forver Seventeen" - "Love You Goodbye"
Tracks: "Live Like You Were Dying" - "Don't Take The Girl" - "It's Your Love" - "Just To See You Smile" - "Something Like That" - "My Next Thrity Years" - "The Cowboy In Me" - "She Never Lets It Go To Her Heart" - "I Like, I Love It" - "Watch The Wind Blow By" - "Please Remember Me" - "Real Good Man" - "Southern Voice" - "My Best Friend" - "Everywhere" - "Grown Men Don't Cry" - "Back When" - "Angry All The Time" - "Last Dollar (Fly Away)" - "Unbroken" - "Where The Green Grass Grows" - "Not A Moment Too Soon" - "Indian Outlaw" (Dance Mix) - "Felt Good On My Lips"
Tracks: "Halo" - "Right Bat Atcha Babe" - "One Part, Two Part" - "I Will Not Fall Down" - "The One" - "Better Than I Used To Be" - "Touchdown Jesus" - "The One That Got Away" - "Felt Good On My Lips" - "Hey Now" - "Only Human" - "Die By My Own Hand"
Tracks: "Overrated" - "City Lights" - "Shotgun Rider" - "Dust" - "Diamond Rings And Old Barstools" (with Catherine Dunn) - "Words Are Medicine" - "Sick Of Me" - "Meanwhile Back At Mama's" (with Faith Hill) - "Keep On Truckin'" - "Last Turn Home" - "Portland, Maine" - "Lookin' For That Girl" - "Still On The Line" - "Lincoln Continentals And Cadillacs" (with Kid Rock) - "Kids Today" - "I'm Feelin' You" - "The View" - "Black Jacket"
Tracks: "Here Tonight" (with Gracie McGraw) - "Losin You" - "How It Always Be" - "Damn Country Music" - "Love Runs" - "What You're Lookin For" - "Top Of The World" - "Don't Make Me Feel At Home" - "Want You Back" - "California" (with Big & Rich) - "Humble And Kind" - "Everybody's Lookin'" - "Kiss A Girl" - "Country And Western"
Tracks: "The Rest Of OUr Life" - "Telluride" - "The Bed We Made" - "Cowboy Lullaby" - "Break First" - "Love Me To Lie" - "Sleeping In The Stars" - "Damn Good At Holding On" - "Devil Callin' Me Back" - "Speak To A Girl" - "Roll The DIce"